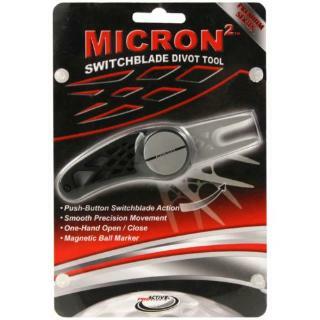 The Micron Switchblade Divot Tool. 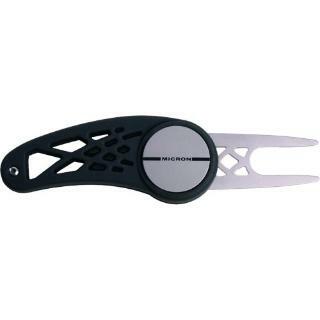 With the touch of a button, the divot tool flashes out, prepared to repair your ball marks on the green. When finished, simply fold the ball mark repair tool back into the case, slide it back in to your pocket, and it is spring-loaded and ready for the next hole. The Micron Switchblade Divot Tool includes a ball marker that slides securely into the side of the case.